A giant wave came rolling towards us and my 6-year old yells “Stand up mom! Pick me up!” I couldn’t stand, I tried with all my might but the water was strong and it was pushing me down. We had been playing in the California waves together and a few moments earlier I decided to kneel down so that I was the same height as her. The giant wave was about to hit us and there was no getting away from it so I yelled back “hold your breath!” just before it crashed over our heads. We were laughing together and the first thing she said was “it’s okay mom, it’s part of life.” Out of curiosity, I asked “what’s part of life?” She answered with one word “Surrender.” I was speechless. It was a sweet moment together and I’m not sure how I was blessed with such a zen master of a daughter. It’s amazing to step back and learn from children and to allow them to teach us. 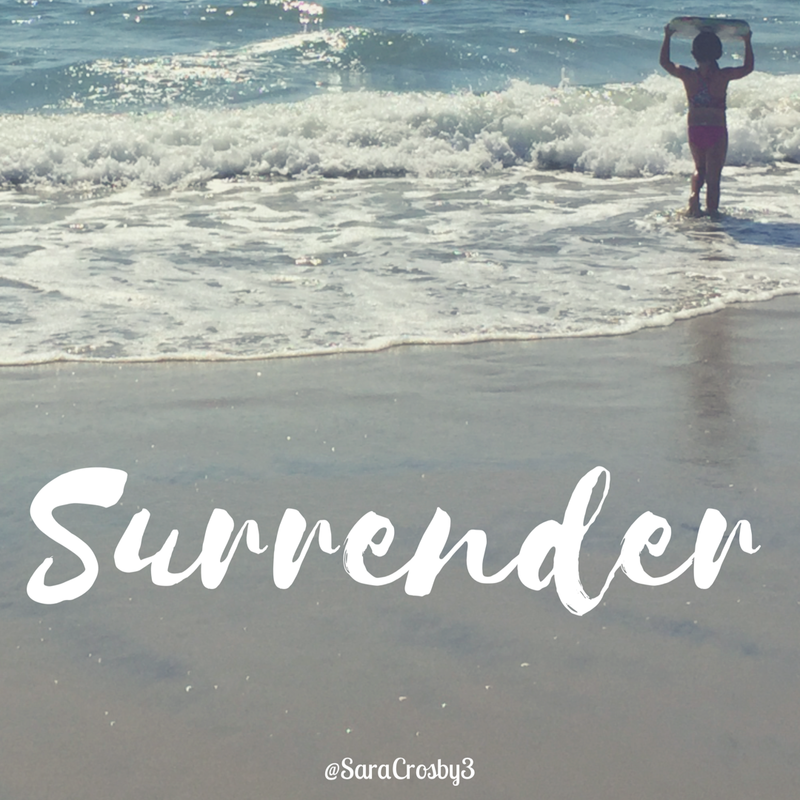 Surrender is part of life and you don’t always get through the waves the way you imagined, but if you can brace yourself and surrender – you just might find a treasured moment after all.